¿Alec Bradley Prensado Número Uno? My lovely wife and I were up at the Lit Lounge on Friday night - weather was too crappy to be smoking outside in Kirkland, plus I think most of the Kirkland gang were already up here. I wanted to try Cigar Aficionado's number one cigar pick of the year: The Alec Bradley Prensado. Anyhow, so back to the Prensado. I've smoked a few different varieties of the Alec Bradley line, so I was sure that this one would be stellar as well. It truly is a good looking cigar - perfect box-pressed, rich dark colored wrapper, Churchill size, just feels right in your hand. So what did I think? Meh, what's all the hype about? Believe it or not I'd gladly take a Tempus over this one. I'm not saying in any way that this was a bad cigar, no, not at all, it was in fact very good, but in my opinion the Tempus is better. One little problem that I had with it was the draw - WAY too much work. I really had to puff on it to get the amount of smoke that I like. If I could have solved the draw problem, I would have rated this on the same scale as the Tempus. Would I buy one again? Yes, but mainly out of curiosity - curious if they all have the same draw? OK, so I wanted to review one more cigar this weekend - I've actually been waiting for my friend Ryan to put in a review for me, but unfortunately hell hasn't frozen over yet. While we were up at the Lit, just before we were getting ready to leave, one of the members of our group left to go play the slots, he wanted to play for a minute before he had to leave. Well, a few minutes later he returned to our table and told everyone: "drinks are on me!" He had just won $15k on a slot machine. $15,000 !! Holy CRAP! I asked him how he did it and he said that he was betting $8 a pull - he started with $100 and was down to $50 when he hit the Motherlode. Sheesh, only in my dreams would that ever happen... Nice job Walt! Since the snowy weather caused such a poor turnout for our EP Carrillo event earlier this month, we're going to try again on Monday, February 6th. 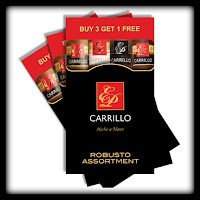 Join us as we feature a great Buy 3 Get 1 Free deal on the fantastic EP Carrillo line of cigars along with drink specials on Dewar's 12 year old Scotch. We'll have prizes to give out as well. The event will be in Lit from 6-9pm. See you there! The Lit lounge area will be reserved for a private party for the Super Bowl on February 5th. You will still be able to purchase cigars and drinks, but the seating area is not available until after the game ends. We will be setting up tables on the outer ring of the Mist bar, complete with cigar ashtrays for those who are looking for a place to enjoy a cigar while watching the Super Bowl. Thanks for your understanding. We are currently stocking a number of this year's top 25 cigars including the Alec Bradley Prensado, La Aroma de Cuba Mi Amor, Illusione Epernay, Casa Magna Colorado, A. Fuente Magnum R, Oliva Serie V, and more. Try them and see if you agree with their list! 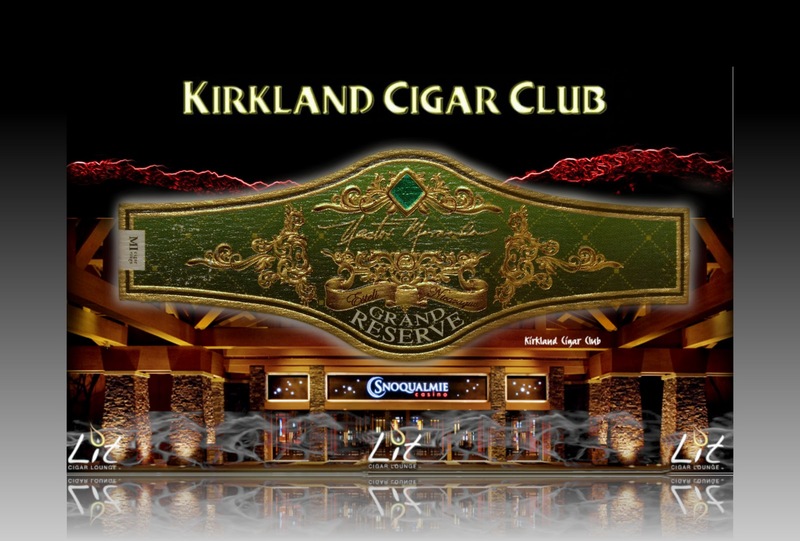 One of the most anticipated events of the year in the cigar industry is the release of Cigar Aficionado's Top 25 Cigars. While we don't agree with every cigar on the list, it generates plenty of buzz for the chosen cigars and highlights some great smokes. Congratulations to Alec Bradley for being #1 on this year's list! Take a look at the list and let us know what you think. Happy New Year everyone! Gung Hay Fat Choy! This month, we are welcoming Brad Weinfeld and Ed Ryan from Casa Magna Cigar Brand to Seattle and will be featuring a fantastic Sales Event on Friday, January 27th @ 4:00pm - 9:00pm! 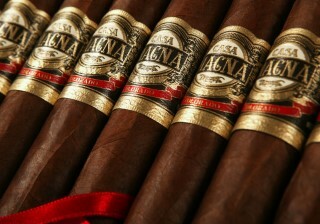 The Casa Magna was just rated as the 10th best cigar of 2011 by Cigar Aficionado! 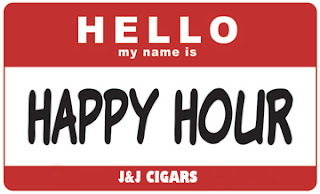 Please make time for Cigar Happy Hour each Tuesday - this month, our featured cigar is Rocky Patel! Your first Rocky Patel cigar each Tuesday during Happy Hour is 50% off!! Come meet Brad Weinfeld, Vice President of Marketing of the Casa Magna brand of cigars on Friday, January 27th @ 4:00pm - 9:00pm as we kick off a fantastic Sales Event featuring the Casa Magna portfolio of cigars. Plus - We're Raffling off Ashtrays and Lighters too! I have a feeling that the snow might not return this year though: I bought a snow-shovel today. I wanted to tell you about some boutique cigars that I recently bought from Nadi cigars. Ever heard of them? Nor had I until I stumbled across their website. It turns out that one of the cigar reviewer that I like to watch on the web has actually gone out and bought a cigar brand. (Holy Cow!) I assumed that since she does such a great job reviewing cigars that she probably wouldn't buy any ordinary brand, it must be something pretty special. So, I bought one of their sampler packages to check it out. 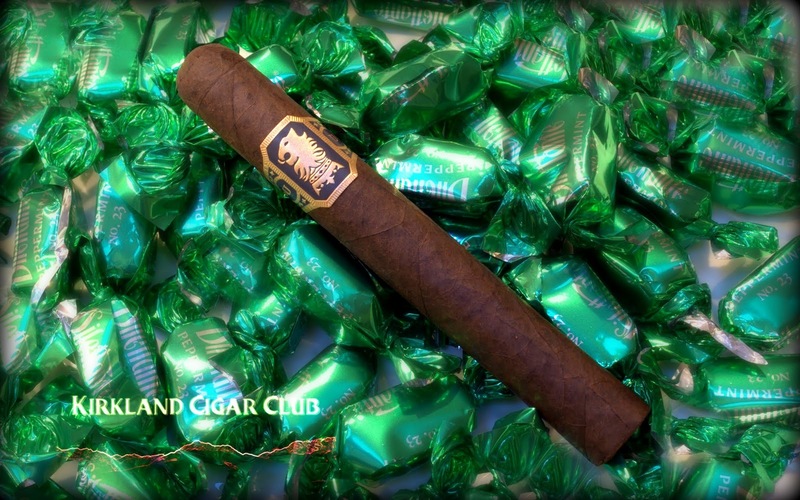 The Ecuadorian Habano leaf wrapper on our Classic Habano line has moderate oils and is rich and smooth. The aroma has a slight sweetness along with leather and wood. The fine quality tobacco inside is a blend of aged Dominican Olor, Cubano and San Vicente long filler. Their superb construction provides a steady, consistent burn throughout the smoke making the quality of these medium bodied, well-balanced cigars notable. There are flavors of sweet wood and cream with hints of almonds and vanilla. Anyway, the last couple of days I've had an opportunity to try out a few of these sticks. So what did I think? I liked them! Excellent draw, perfect burn, medium-bodied, plumes of rich creamy smoke, and a very consistent taste. Actually I thought the Caligula (Toro, 5 3/4 x 52), might have started out a little rough, but developed into a very smooth, rich flavored cigar. Very nice indeed. However, the Ramses (Torpedo, 5 7/8 x 52), has been my favorite so far. Superb cigar! Love that torpedo shape! Would I buy them again? Yes, I believe I would. They're good cigars! Maybe not as sweet as some of the Nicaraguans that I like to smoke, but these are definitely worth it. If you are looking for something a little off the beaten path, you really ought to give these a try! The limited spaces for our cigar tasting on January 23rd are full. Thank you for your great response to this idea. We'll post details for another similar tasting soon! 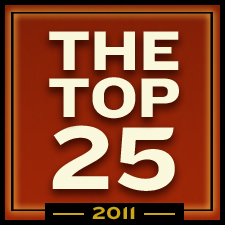 One of the most anticipated events of the year in the cigar industry is the release of Cigar Aficionado's Top 25 Cigars. While we don't agree with every cigar on the list, it generates plenty of buzz for the chosen cigars and highlights some great smokes. 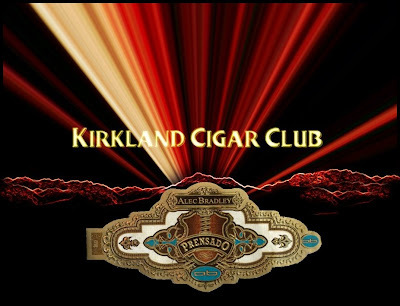 Congratulations to Alec Bradley for being #1 on this year's list! Take a look at the list and let us know what you think. 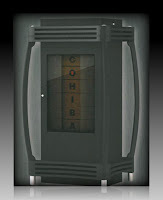 We have several of these cigars in stock already, and even more on order. 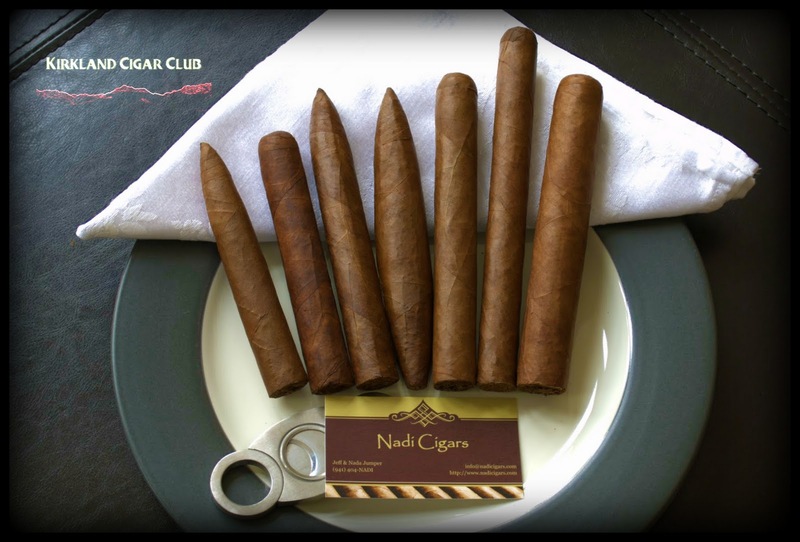 We're planning a tasting of the top 3 cigars some time in February, so keep checking this newsletter for updates. 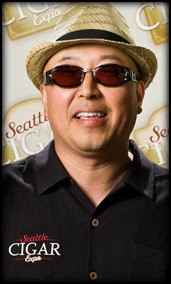 A few weeks back when I was up at the Lit Cigar Lounge, I asked my friend Josh (El Jefe), what cigar he likes to smoke? He held up the cigar that he was smoking at the moment and said: "I really like this one". He was smoking the Nestor Miranda Grand Reserve. I replied back to him: "I don't think I've seen those in the humidor?" He told me that they're kind of hidden in the back - probably something to do with it being a limited release. Anyway, last weekend I had an opportunity to try one while I was in the bar. So what did I think? Josh was right, GREAT cigar! Exceptionally smooth, medium-bodied, full flavored smoke. Really, really nice draw and a flawless burn. 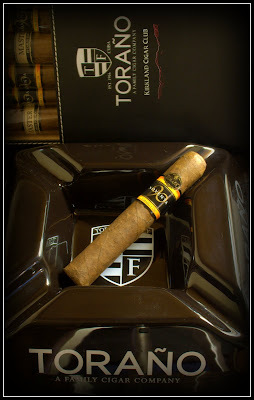 I love the box-pressed torpedo shape as well - just feels right in your hand. I paired it with a glass of Zaya rum, on the rocks. Oh man, what a perfect combo! Would I buy one again? If they still have them, YES! Apparently Josh only has one box left. (limited release). 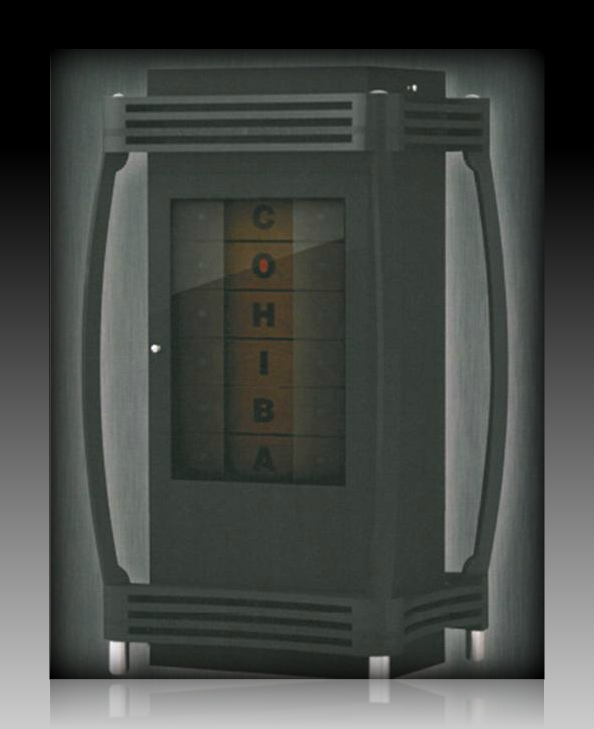 Speaking of the Lit Cigar Lounge, they've got a little contest going on where if you buy a Cohiba Capa Reserva 2011 (6 different sizes, limited production), you'll be entered to win the beautiful Cohiba humidor that they've got on display up there. 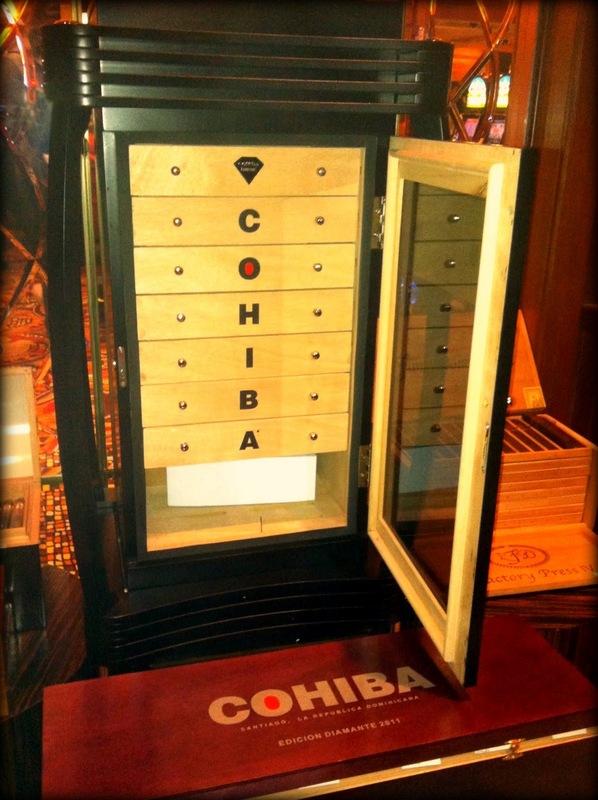 Let me tell you that this humidor is even nicer than the Partagas humidor they had for the last contest. The photo doesn't do it justice, it is very, very cool, probably holds a million cigars. God, I've gotta win this - Please! Please!! 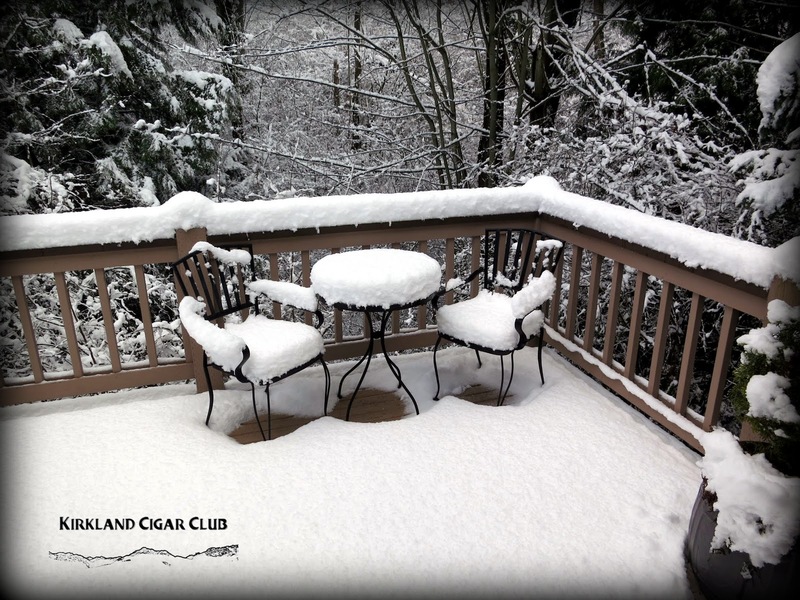 Side note: Snowed 8" at my house yesterday - Winter is here! I know what you're thinking: 8" is nothing. Well, if Seattle were flat-like-a-pancake, we'd have no issues too, but unfortunately, or fortunately depending on how you look at, it's nothing but hills and mountains out here, plus an abundance of California drivers. Yeah, look-out when it snows here! A big thank you to everyone who joined us on New Year's Eve in the Re-Lit satellite cigar lounge! It was a great time. 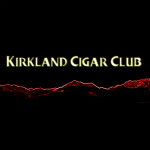 Our good friend John from the Kirkland Cigar Club did a great writeup on the event and included pictures which can be seen here. Join us this Sunday, January 15th from 6-9 p.m. as we feature EP Carrillo cigars and Glenfiddich Single Malt Scotch whisky. We'll have great deals on both as well as prize giveaways throughout the event. See you there! There are only 25 spaces, so please get your RSVP to me as soon as possible if you wish to attend. Just a quick note about the Re-Lit Event on New Year's Eve up at the Snoqualmie Casino - GREAT TIME! Live music, comfortable seating, plenty of booze, friendly staff, and of course the main reason you came up here in the first place: "Enjoy a fine cigar!" What they did this year was set up an area for us in that long corridor section right in front of the main ballroom entry doors. You've probably seen it before, good size area, maybe triple the size of the Lit Lounge, plenty big for a NYE party. Josh my friend, you really know how to please the cigar smoking community. My wife and I, and I'm sure the rest of the gang, had a night to remember. Job well done! Anyway, I've been smoking these exclusively for a couple of weeks now and I've got to tell you that they kind of grow on you. No kidding. I like 'em! Jeez, for the price I frickin LOVE them! The first time I smoked one, just before I lit it up, I took a little whiff of the wrapper, then asked my lovely wife: "hey Honey, what's this smell like?" She said: "kinda like a barn". Yes indeed I said, it does kind of have that barnyard aroma to it, and I mean that in a good way. In my opinion, its rich chocolate color wrapper has an aroma of a very fine cigar. Wonder why these never sold? So how did it smoke? For me, great! Medium-bodied, a little firm on the draw at times, beautiful white ash, and extremely smooth. An occasional hint of sweetness to its rich taste kept me interested. The flavor is consistent throughout. So how does it compare to the almighty Masters Series? Well, that's a different story. I hold that cigar pretty high on my list, but the Noventa does pretty good measuring up against it. I definitely will pickup a few more of these. They're good! 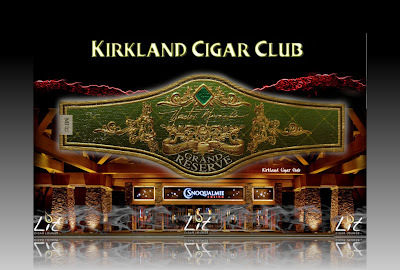 Well, I'll probably head up to the Casino again tonight for a cigar at the Lit, just too cold and crappy to go downtown Kirkland. Heck, the Kirkland group will probably be up there anyway! Happy New Year gang! I'm glad you took the time to stop by and read my stupid little blog. It's good fun for me and I hope it's entertaining enough for you. Let me know if have any comments, I'd love to hear what you're smoking? 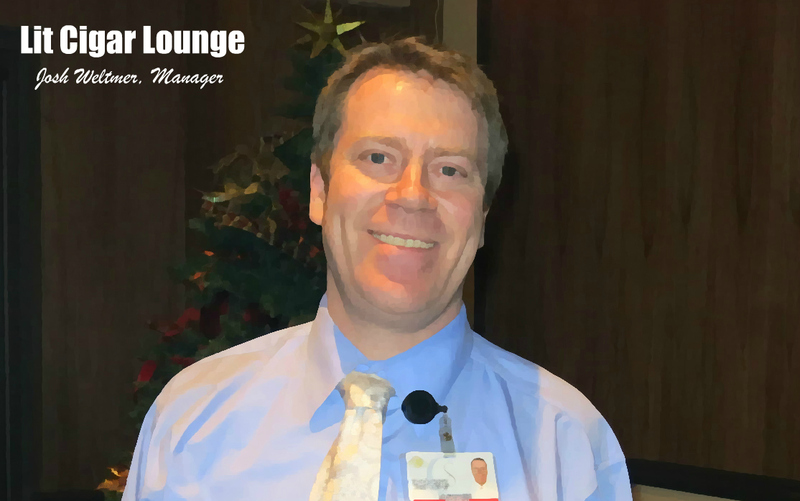 If you missed it, here are a few photos from the Re-Lit New Year's Eve party up at the Snoqualmie Casino. Side note: Thanks for putting this together Josh, everything worked out perfect! Great time my friend!